Saudi spokesman says British report Sunday that the two countries were in negotiations over preventing a nuclear Iran was wrong. Saudi Arabia denied on Monday having any diplomatic contact with Israel, with which it has no official diplomatic ties, after a British newspaper reported that the two countries could coordinate efforts against Iran, AFP reports. The kingdom, which is Iran's chief regional rival, "has no relations or contacts with Israel of any kind or at any level," said a foreign ministry spokesman, quoted by state news agency SPA. Under the headline "Two old foes unite against Tehran," Britain's Sunday Times newspaper said Israel and Saudi Arabia were working together on "contingency plans for a possible attack on Iran if its nuclear program is not significantly curbed." attack on Iran," it said. The report had indicated growing upset in the Arab world over the failure to stop Iran’s nuclear program. 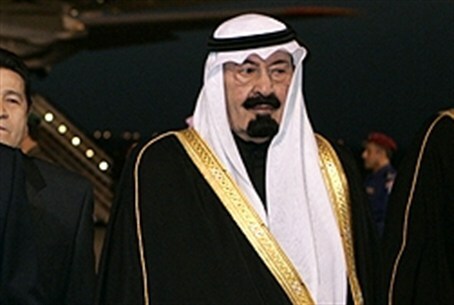 There were previous reports that Saudi Arabia would allow Israel to use its airspace to stop Iran, but the report claimed that now the Sunni Muslim country is reportedly prepared to cooperate over the use of planes and drones as well. The Saudi spokesman said the report was "completely unfounded". Both Israel and Saudi Arabia fear that talks between the Western powers and Iran in Geneva will yield an agreement that relaxes sanctions on Iran without effectively curbing Iran’s nuclear program. Talks are set to resume this Thursday, November 20.